Another set. Another rep. Grind, rinse, lather, repeat. At some point, even the most committed gym rats need to come up for air and change up their fitness routine; it’s not easy though -- as an adult, it’s much harder to jump into an organized sport or fitness group and just get started. Fortunately, Zak Kates founded FitLocal to solve that very problem. It’s an all too familiar story -- you call up 10 of your friends and arrange a pickup game at a specific court and an agreed-upon time. You’re excited to catch up with them, get your daily workout in and of course, show off that new layup you’ve been working on. You’re feeling confident that your team will dominate this five-on-five matchup. The problem is that it’s hard to play a five-on-five game when only seven people show up. In fact, the best you can do is four-on-three -- not exactly the perfectly planned game you had in mind. Zak Kates knows how frustrating this scenario is because he’s been through it dozens of times. That’s when Kates drew upon his experience as a developer -- along with his many years in the tech and innovation industry -- to create a concept for a new platform that could quickly and effectively find substitutes for last minute no-shows. However, he held off on launching his idea as it would’ve been a substantial endeavor at the time. It didn’t take long before his plans resurfaced. Kates decided to launch his platform so that he and his friends could get fit while having fun. 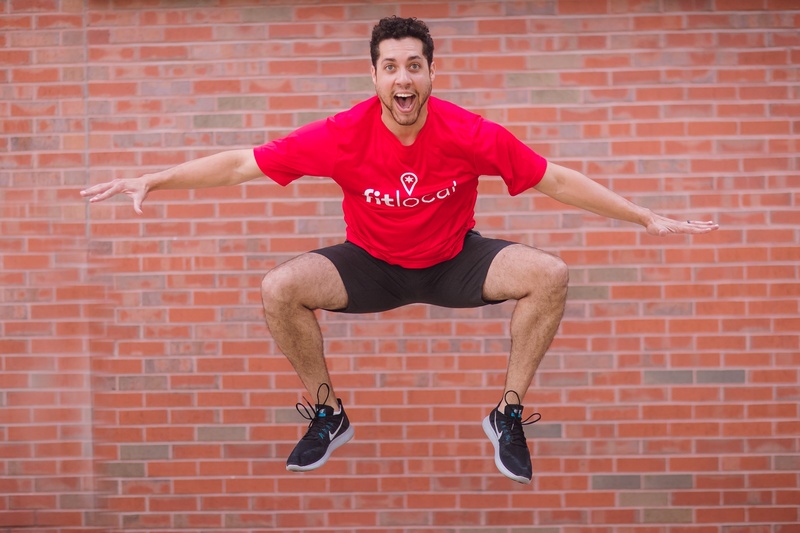 Combining the ideas of fitness and community, Kates called his platform FitLocal. Using web-based technology, the FitLocal app helps users organize and discover group sport activities around them. The platform gives organizers the ability to set a minimum or maximum amount of players for each activity, but unlike online sports leagues or social clubs, FitLocal allows organizers to immediately target, brief, and recruit potential substitutes. Another major problem that league sport members have to deal with is commitment. As a father, Kates realized that even though he wanted to join a league, he wouldn’t be able to attend every game. He factored that into the development of FitLocal and shortly after working on his app, Kates began to see traction. Along with making social fitness activities more accessible, Kates wants to use the platform to help users meet new friends or connect with their current friends in different ways. He’s been growing the platform and says that his network has been instrumental in its progress. And though Kates credits 1871 for a much of his success, perhaps good things go both ways. It’s no coincidence that Kates was selected for the task. With an always enthusiastic attitude, Kates embodies the definition of a spirited entrepreneur; his outlook on business is simple -- listen to your customers and keep creating.